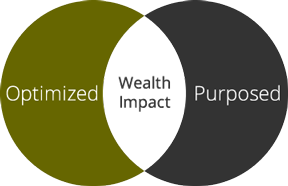 Wealth Impact is where WEALTH OPTIMIZATION and WEALTH PURPOSE unite. and a collaborative effort to achieve WEALTH IMPACT. We work with highly successful families, their advisors and non-profits to ignite WEALTH IMPACT. WEALTH IMPACT starts by understanding what your wealth can do for your family and your community, then structuring it to best optimize your wealth, gift giving and ultimately, your legacy. Forward-thinking clients with high net worth, trust Tamar Fink to assist them with their needs. 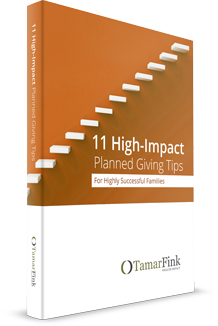 Tamar Fink host live networking events where the philanthropic community, non-profits and their leadership can build their network, share ideas and learn from the experiences of community leaders. I want to inquire about adding value to my clients' lives, philanthropic interests and their communities.